This year we joined up with SohoBespoke, a made-to-measure eyewear brand based in London and together we have created 4 unique styles of sunglasses to fit in with both our summer and winter collections. The Lobby Boy glasses were inspired by Wes Andersons' The Grand Budapest Hotel, a film filled with colour and character that we draw inspiration from time and time again. 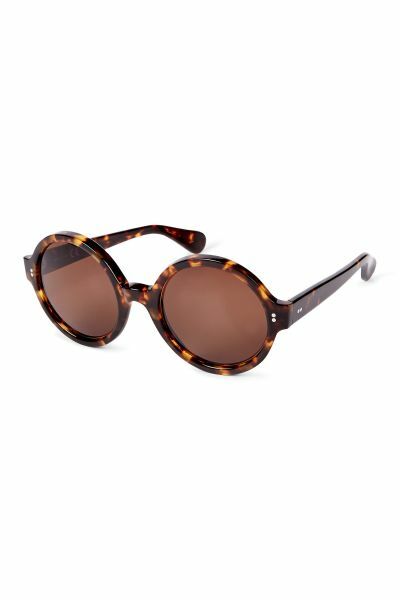 We chose this dark tortoise shell for its classic-ness and versatility and while the oversized frame creates a statement, the clean simple lines keep them sleek and eminently wearable.